One of the first things that we do before working with a new customer is perform a web presence analysis. After a few hundred audits, we have accumulated quite a few examples of how Internet marketing for the family entertainment industry is missing the mark or struggling. 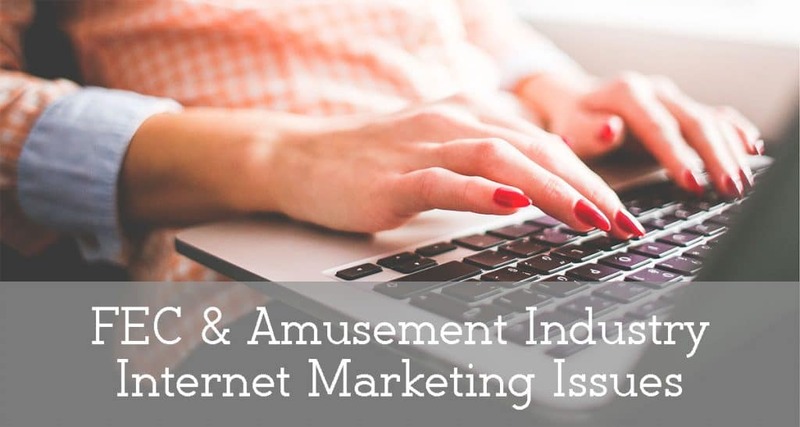 While each entertainment center and amusement park is different, there are common themes regarding issues with Internet marketing for many locations. Some of it comes from experience with a new medium and figuring out how it fits their business. And some of it comes from other reasons altogether. Here are a few of the most common mistakes we have seen in 2015. Not Measuring Results: Fitness trainers often say, “you can’t improve what you don’t measure.” This is especially true when it comes to spending marketing dollars to help build your entertainment business. It’s not enough to just be participating in a digital medium. You have to know what’s working and what’s not to help you improve your strategy and drive real results. Posting Irrelevant Content: Your Facebook post today might not be about your business, but it needs to be relevant to your audience. Do you want to post off topic? Try sharing a post about your local high school football team winning state, or share a story about a young hero in your area. Posting a video of a cat playing a piano might not be the right content for your customer base, as entertaining as it might seem. Promotional Content Abuse: During the holidays, it’s easy for our social media content to lean heavy on promotional language. “Purchase your gift cards today” or “book your company Christmas party now!” While those messages are great outbound calls to action, it’s best to save your promotional content for paid ads on social media. Your organic, or unpaid content, should focus on adding value to your customer base first. Posting Too Often: Are you guilty of posting 10 times a day to Facebook? You might be losing the attention of your customers, or even annoying them. While some networks like Twitter are built for an active presence, many social media networks are best managed by making 1 to 2 strong posts per day. Focus on the quality of your content over the quantity of it. All businesses are different, but you must understand how often is too often or too little for your brand to post on social media. Using the Wrong Marketer: Do you have a high school kid managing your Facebook advertising? Are you responsible for being the visionary of your business and understanding Google Analytics? Is your agency struggling to understand the difference between a trampoline park and a family entertainment center? You might not have the right person managing your Internet marketing. As the world of Internet marketing continues to evolve everyday, it’s important that you find the right person for the job to help grow your business using some of the most powerful tools made available to small business owners ever! Is your center or franchise Internet marketing suffering? Contact TrustWorkz to find out if we might be a good fit for solving your struggles and help build your business.